Wales certainly have a stronger team at their disposal than the one that took the field against Australia. Though they played well against the Wallabies, particularly up front, there was a distinct lack of creativity and cutting edge in the back line, which meant they couldn’t make the most of their attacking opportunities. 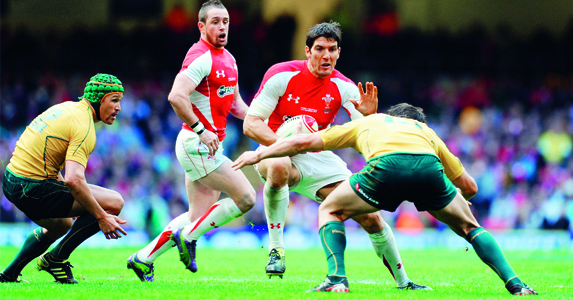 Lee Byrne’s return at full-back allows James Hook to move back to the centres where he can get involved in the game more and use his sublime footwork to glide through the South Africa midfield. Byrne’s boot will also be crucial from the back and he will be looking to put in a few chips behind the Boks defence too. George North makes his debut – and will need to maintain his focus to keep Bryan Habana under wraps. He offers more size and power than Will Harries and it will be interesting to see if he can maintain a cool head amidst the pressure of Test-match rugby – and demonstrate the try-scoring form he’s shown for the Scarlets. Up front, Wales will face a far stiffer test from the Springbok pack than they the Wallabies offered. Adam Jones will be looking forward to getting to grips with Tendai ‘the Beast’ Mtawarira again and will want to dominate him as he did for the Lions. Martyn Williams’s return also brings a more creative, link player to the Wales back row – he showed as a replacement against Australia what he can do – while Dan Lydiate and Jonathan Thomas need to step up from last Saturday, providing more go-forward and dominating the breakdown. And defensively they won’t want to concede the tries they did against Australia last week. Wales will struggle at the lineout with Victor Matfield, who will become South Africa’s most-capped player on Saturday, such a master in that area so they should look to keep the ball in play rather than kicking for touch and tire out the Springboks. They should get at least parity at the scrum and with more creativity in the back-line expect them to cause the Boks defence problems. 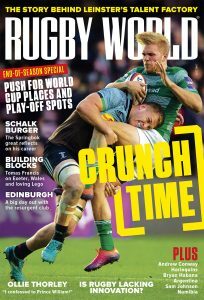 South Africa tend to prefer a tight, physical game so if Wales can play to their strengths with quick ball – this is why the back row must dominate the breakdown – and plenty of offloads rather than going to ground, they should score a few tries. I’m going to back Wales to sneak only their second ever win against the Boks – their strength in the scrum the perfect platform for some fast, flowing rugby – but what do you think? Who will be the key players? WALES: L Byrne; G North, T Shanklin, J Hook, S Williams; S Jones, M Phillips; G Jenkins, M Rees (capt), A Jones, B Davies, AW Jones, D Lydiate, M Williams, J Thomas. Replacements: Huw Bennett, Paul James, Ryan Jones, Andy Powell, Richie Rees, Andrew Bishop, Chris Czekaj. SOUTH AFRICA: G Aplon; B Basson, F Steyn, J de Villiers, B Habana; M Steyn, R Pienaar; T Mtawarira, B du Plessis, J du Plessis, B Botha, V Matfield (capt), D Stegmann, J Smith, P Spies. Replacements: C Ralepelle, CJ van der Linde, F van der Merwe, AN Other, F Hougaard, Z Kirchner, P Lambie.